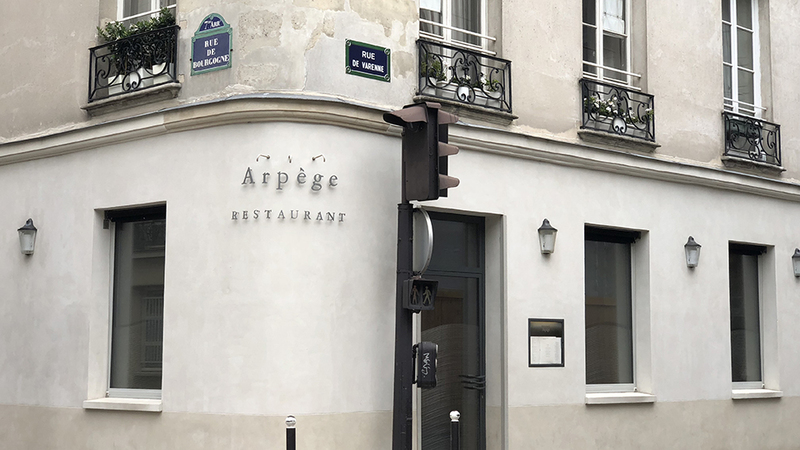 One of the world’s most famous restaurants, Arpège is located at the corner of two streets in the 7th Arrondissement, just a few steps from the Rodin Museum and close by the Invalides monument. Arpège was founded in 1986 by super-chef Alain Passard on the premises of the ultra-famous Archestrate, the multi-award-winning restaurant run by Alain Senderens, an inspiration and model for Passard (there is a touching tribute to Senderens in the form of a framed picture on one of the restaurant’s walls). Interestingly, while Passard is a recognized master of the rotisserie grill, his restaurant has become synonymous with amazing vegetables since 2001, when they became the centerpiece of his cuisine. In fact, over the years, Passard created two different vegetable gardens, one in Fillé sur Sarthe in 2002 and one in Buis-sur-Damville in 2008. 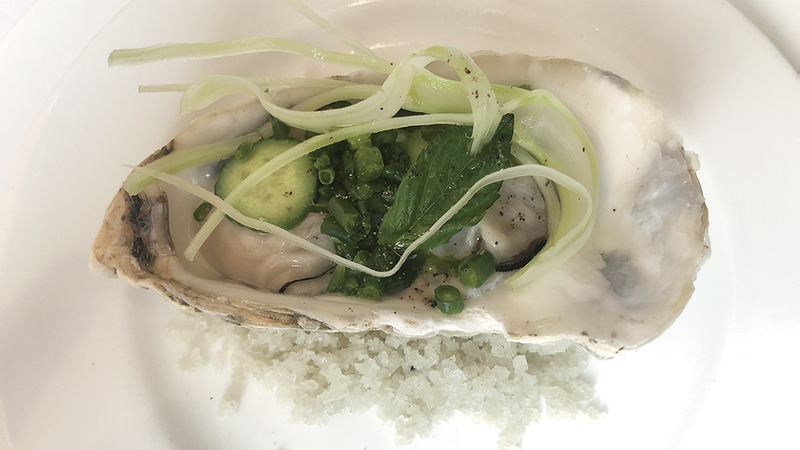 During my most recent lunch at Arpège, I sat through a medley of small dishes that were all perfectly executed and flavorful, though there was a tendency to repeat some ingredients. The best dish on this day was the thin ravioli in consommé, an exercise in culinary virtuosity where paper-thin but flavorful pasta and a refined, delicate consommé combined to provide a magical taste experience; it was hard not to gulp down the whole dish at once. 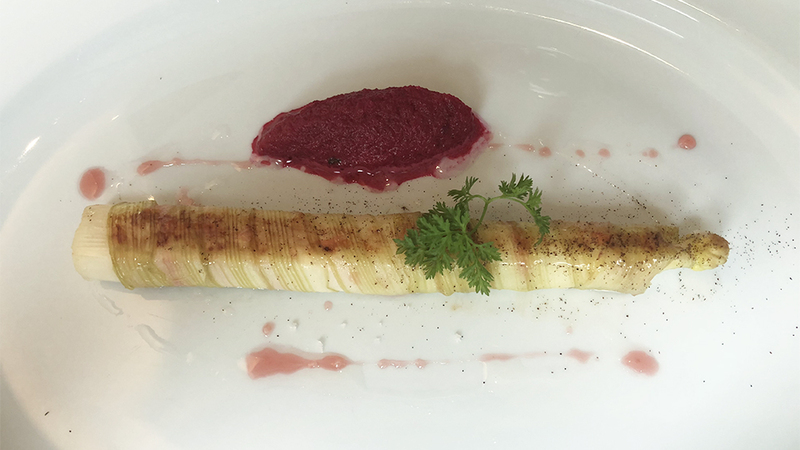 The white asparagus, when in season, is especially tasty, and Arpège’s creation was memorable for its simplicity and precision of flavor. Don’t miss it. 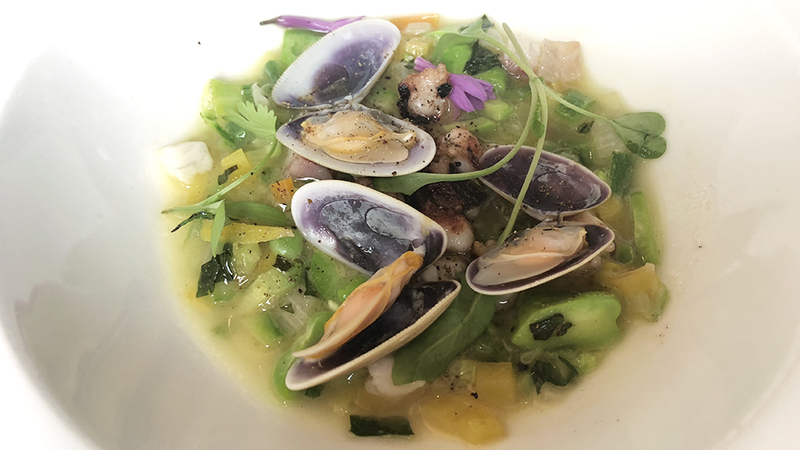 The minestrone with tellins was deep and flavorful, but still maintained Passard’s signature style of delicacy and refinement, where aromas and flavors impress not for their raw concentration or power but rather for their suave delivery and refined presence. Tellins are especially tasty small seawater clams that live in temperate and tropical waters all over the world; they are well known to most beachgoers by the empty shells that often litter the seashore. Though there is some disagreement on the subject among scientists, tellins belong to the genus Tellina, of which there are roughly a hundred different species. The problem is that the name “tellin” is often used to describe altogether different clams, such as those of the genus Donax, of which there at least 50 different species, the best-known of which is perhaps the coquina clam of the southern Atlantic, Gulf shores and Caribbean (though here too there are different species with the same common name, such as Donax fossor of the southeastern US, which is smaller than Donax variabilis of the Caribbean.) Donax trunculus, which lives in shallow waters off the coasts of western Europe and northeastern Africa, is often referred to as a tellin, but strictly speaking, it isn’t. Therefore, not all the clams you are eating when dining by the sea in Italy or France (or any other part of the world, for that matter) are exactly the same thing. And that goes a long way toward explaining the differences in clam size and taste in the various dishes you’ll try. 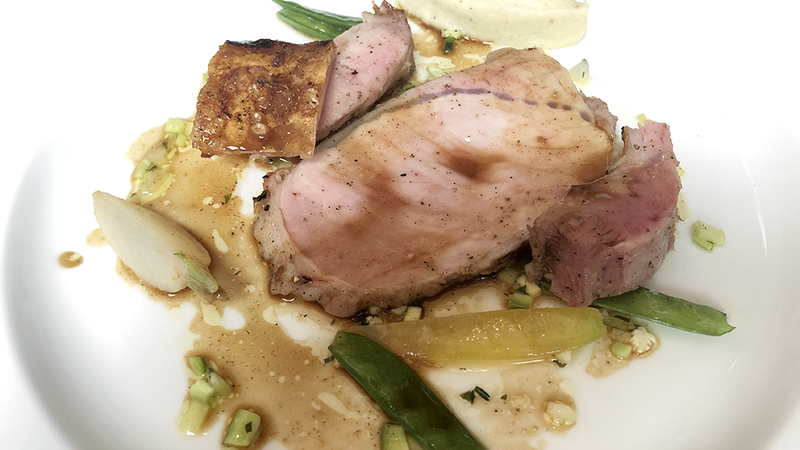 Last but not least, allow me to add that for all of Passard’s fame for creative vegetable preparations, I have to say that the rack of pork, proudly shown off by waiters at the table before carving, provided a sublime melt-in-your-mouth taste experience. The desserts showcase well what Passard’s cuisine is about. 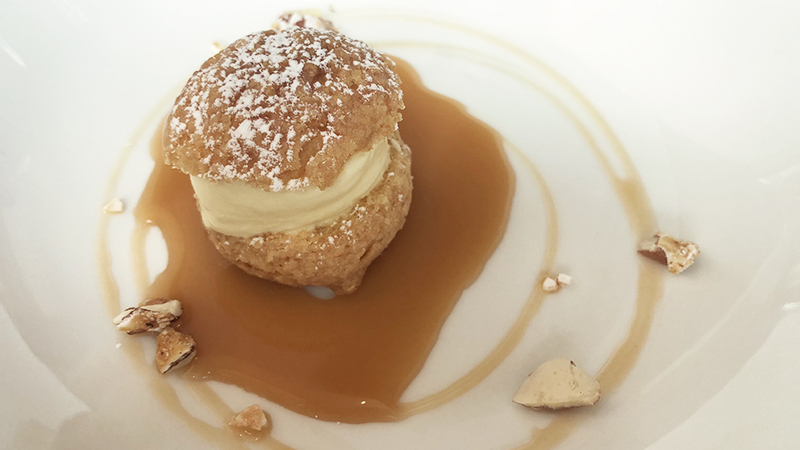 You’ll find profiteroles here, and not the everyday ones but rather a version flavored with flouve, a little-known ingredient called vanilla grass in English and also known as sweet vernal grass (Anthoxanthum odoratum L. subsp. odoratum). This is a short-lived perennial plant native to Eurasia that grows on acid soils where most other grasses fail to take hold; it is grown as a lawn grass, and also as a houseplant due to its sweet perfumed scent (odoratum is Latin for “perfumed”). It adds a sweet herbal nuance to the dish, lifting this at times heavy dessert to a whole other level of lightness. Passard’s floating island is also a much lightened-up rendition compared to most you’ll try elsewhere. 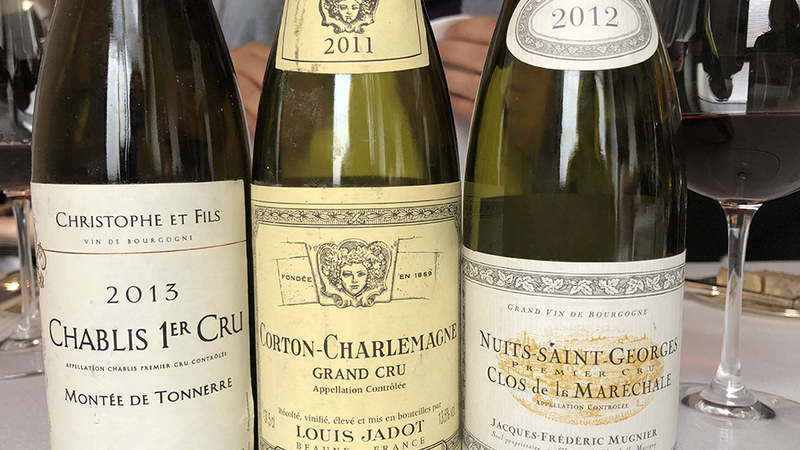 The wine list at Arpège is long and well thought out, though I find it much less impressive than those of other multi-award-winning Paris restaurants such as the Carré des Feuillants, Pierre Gagnaire or La Tour d’Argent. Nevertheless, I drank very well on this day, though the sommelier was overwhelmed with all the tables that needed attending, and the young woman who served my table was well-meaning but woefully inexperienced. Asked about the Chablis I had ordered, she admitted not knowing anything about the estate and said she’d ask or bring someone over to tell me more. Unfortunately, the information never materialized—not exactly a badge of honor for such a famous restaurant, even appreciating that the dining room was busier than the Gare du Nord at rush hour and the harried but always friendly, smiling staff were doing their very best to meet everyone’s needs. The 2013 Christophe & Fils Chablis Monté de Tonnerre showcases the nobility of this premier cru, which is closer to a grand cru in quality than most. Lemon, butter and oyster shells mingle with white flowers on the long, tactile finish. The 2013 provides a great start to the meal. Located in Fyé, the estate was taken over by Sébastien Christophe in 1999 (his father had grown many different agricultural products, but it was Sébastien who decided to make viticulture the domaine’s focus). Today the estate boasts roughly 12 hectares of vines that are roughly 15-60 years of age. Layered and very pure, the 2011 Louis Jadot Corton Charlemagne offers a huge mouthful of Chardonnay, featuring round pineapple and lime notes in the best tradition of this hallowed vineyard. Even better, I found Jadot’s oaking to be especially judicious in this vintage. The wine is ample, rich and very long, and was an absolute joy to sip all by itself. Last but not least, the still much-too-young 2012 Jean-Frédéric Mugnier Nuit-Saint-Georges Clos de la Maréchale, from one of my favorite Burgundy producers, proves just the right match for the rack of pork, offering flinty and smoky nuances to the sweet red and black cherry fruit. Made from atypically low yields due to a summer hailstorm, the wine started out life a little disjointed and fruit-challenged but is filling out nicely, though I feel it will always remain a touch on the austere side. Still, it provides another wine and food match made in heaven, its tannic personality nicely cutting through the pork meat’s softness and juiciness. The time I spent at Arpège flew by, always a good sign. Not everything is absolutely spot on at this mythical address, but it’s hard to argue that a meal here is not an experience worth having. Yes, prices are not gentle, and service, though very friendly and not at all stuffy, could be more attentive. But I’m willing to wager that practically all restaurant-goers, once their meal is over, will immediately start thinking of when they might be lucky enough to get back for another ultimately delightful lunch or dinner.